Yes, it’s true, this plant is edible and in so many ways! You can eat dandelions by brewing a tea, making dandelion coffee with the roots, using the flowers in salads, and so much more. The beauty of this little “weed” is that they seem to pop up everywhere all by themselves. You might even be able to forge them right from your own backyard. 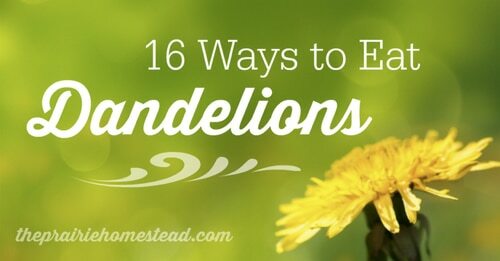 Of course, you can grow your own dandelions in your garden too. Just make sure that when you pick and eat dandelions that it’s from an area that has not been sprayed with chemicals.